Here you can find all info about Amnesia Haze from B.C. Bud Depot. If you are searching for information about Amnesia Haze from B.C. Bud Depot, check out our Basic Infos, Shop-Finder and Price Comparison or Lineage / Genealogy for this cannabis variety here at this page and follow the links to get even more information - or list all Amnesia Haze Strains (±47) to find a different version. If you have any personal experiences with growing or consuming this cannabis variety, please use the upload links to add them to the database! Amnesia Haze is a mostly sativa variety from BC Bud Depot and can be cultivated indoors (where the plants will need a flowering time of ±70 days) and outdoors. BC Bud Depots Amnesia Haze is/was never available as feminized seeds. The new Amnesia Haze! Amnesia Haze won 1st place at the High Times Cannabis Cup in 2004 and has just gotten better since. Higher THC levels, denser nuggets, and a finishing time of only 10 weeks. With a powerful smell and unforgettable taste, the Amnesia Haze will put you into a dream world for hours. Dense haze nuggets brought to you from the underground of Amsterdam. Very potent. A euphoric and psychedelic sativa that kicks you like an indica. Amnesia Haze from B.C. Bud Depot is available only as regular seeds. Feminized seeds are not available at the moment. In 3 seedbanks, we found 10 offers between USD 7.00 for 1 regular seed and USD 575.93 for 84 regular seeds. If you are looking to buy Amnesia Haze Cannabis Seeds from B.C. 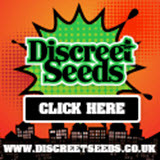 Bud Depot somewhere - have a look to our Amnesia Haze Price Comparison page with all current offers from all the connected seedbanks and shops - or visit one of the following tested, trustworthy and recommended seed-shops directly to check out their current Amnesia Haze offers: Herbies Head Shop, Discreet Seeds and SeedSupreme Seedbank. Do you know something more about BC Bud Depots Amnesia Haze? Please help to make this database better and upload/connect your information here!